In the automotive industry, your reputation is everything. No one will want to do business with a dealer who has a reputation for sloppy work or being unpleasant to work with. Like any business, the goal is to earn each customer's business and trust, so you can continue to grow and thrive. Piazza Mazda of West Chester, located at 1340 Wilmington Pike in West Chester, PA, is a dealer that believes in customer satisfaction and making sure that each customer feels like they are the top priority, whether they are buying a new Mazda or in our service center getting some routine maintenance for their current Mazda. We are here for our customers and never forget they are the reason we are here in the first place. Our sales staff is a friendly and knowledgeable group, eager to help you find your next vehicle. When considering where to buy their new automobile, our dealership knows that Philadelphia, PA area residents have many options, so having a sales consultant they can trust not to resort to high-pressure sales tactics or gimmicks is very important, and we know that. Our staff will not pressure you. They will only answer your questions and help guide you the vehicle that suits your needs. 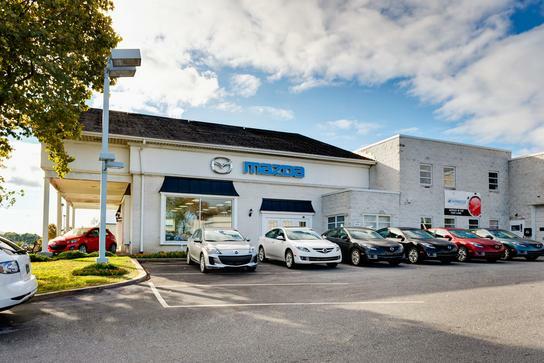 We have a great selection of new Mazda vehicles and a robust used inventory as well. Our Bromall, PA customers will be happy to see many popular Mazda models like the Mazda 3, the Mazda CX-5, and the Mazda CX-9. We are committed to making our customer's experience the best it can be, whether they be in our parts department or in finance. Contact Piazza Mazda of West Chester, in West Chester, PA and only a 45-minute drive from Wilmington, DE, and let us earn your business today! Here at Piazza Mazda of West Chester we strive to make life as easy as possible for our customers. Whether you're look for a specific model, make or anything else, we're here to help! Fill out the form below and let us know exactly what it is you have in mind.